The Vancouver Asian Writers’ Workshop (ACWW) is pleased to announce the countdown to its much anticipated inaugural celebration of Pacific Rim Asian Canadian writing set for November 9th to 12th, 2014 in Vancouver, BC. 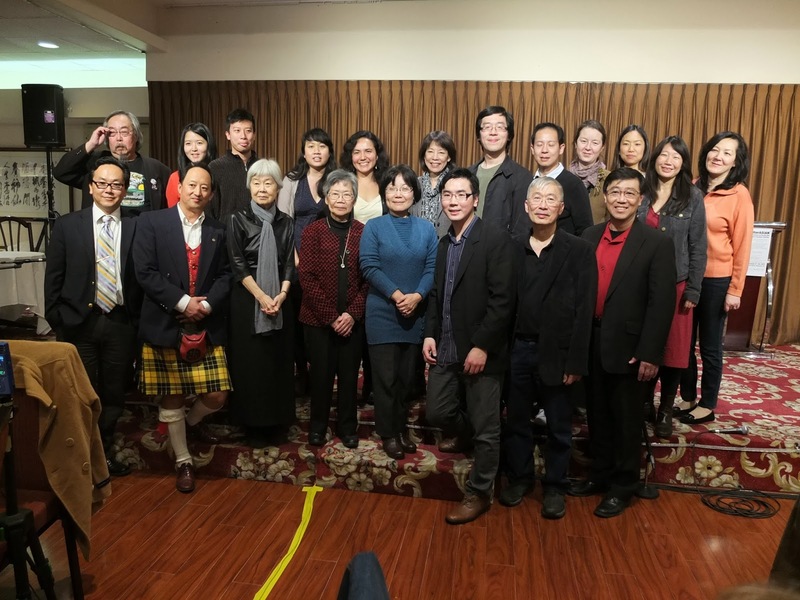 As a non-profit organization with a mandate to promote awareness of Asian Canadian literature, history, and culture, ACWW provide a supportive and culturally sensitive environment for members from a common Pacific Rim Asian Canadian heritage. ACWW also is the publisher of Ricepaper Magazine. The main venue for the festival is the UBC Learning Exchange situated in the middle of Vancouver’s historical Chinatown at 612 Main Street. The UBC Learning Exchange is a community engagement initiative that brings together a wide variety of people, and facilitates connections in the Downtown Eastside between local residents, organizations and the UBC Community. Panel discussions include: Paul Yee and Hiromi Goto - Creating Wonderland and Tall Gold Mountain Tales – Children and Young Adult fiction, and Fred Wah, Adria Iwasuliak and Louise Bak – Mixing it up with the art of poetry. Fred Wah has received major literary awards in three genres: Waiting for Saskatchewan won the Governor General’s award, So Far won Alberta’s Stephanson Award, and is a door won the Dorothy Livesay prize for poetry; Diamond Grillreceived Alberta’s Howard O’Hagan Award for short fiction; and his essay collection, Faking It: Poetics and Hybridity won the Gabrielle Roy Prize for Literary Criticism in English Canada. Hiromi Goto’s first novel, Chorus of Mushrooms (1994), received the Commonwealth Writers’ Prize for Best First Book in the Caribbean and Canada region and was co-winner of the Canada-Japan Book Award. Her short stories and poetry have been widely published in literary journals and anthologies. Her second novel, The Kappa Child (2001), was a finalist for the Commonwealth Writers’ Prize for Best Regional Book, and was awarded the James Tiptree Jr. Memorial Award. Her first children’s novel, The Water of Possibility, was also published that year. Hopeful Monsters, a collection of short stories, was released in 2004. Her YA/Crossover novel, Half World (2009), was long-listed for the IMPAC Dublin Literary Award and received the 2010 Sunburst Award and the Carl Brandon Society Parallax Award. Her long poem, co-written with David Bateman, came out in Fall 2009. Wait Until Late Afternoon is her first book-length poetry publication. Darkest Light, companion book to Half World, is her latest novel. It is the first book released under the new Razorbill Imprint of Penguin Canada. Louise Bak was born in Kingston, Ontario and has lived in Toronto since 1991. She works actively as a writer, editor, radio broadcaster, performance artist. Her writing has appeared in numerous magazines, journals and anthologies in North America. Her first book of poetry, emeighty, was published in a limited edition by Letters Bookshop in 1995. She is currently the guest art editor of the feminist culture magazine PlusZero. She is co-originator of SLANT, Canada's first television magazine to explore Canadian-Asian art and culture, now in development. She is also completing her graduate work on the transperformative aspects of Cantonese opera in Canada at the University of Toronto. Kim Fu is the author of the novel FOR TODAY I AM A BOY, coming in January 2014 (Houghton Mifflin Harcourt, HarperCollins Canada, Random House Australia). Her work has appeared in Maisonneuve, The Rumpus, Ms. Magazine, The Tyee, Prairie Fire, The Stranger, Grain, Room, and Best Canadian Essays, among others. She is the news columns editor for This, a magazine of progressive Canadian politics now in its 47th year, and writes the advice column ASK FU! for the YourBoxClub.com blog. Corinna Chong is a writer, editor, and graphic designer based out of Kelowna, B.C. Her writing has appeared in Grain,NōD, Echolocation, and The Malahat Review. She currently teaches English Literature at Okanagan College and edits Ryga: A Journal of Provocations. Her first novel, Belinda's Rings, was released by NeWest in 2013. Souvankham Thammavongsa was born in a Lao refugee camp in Nong Khai, Thailand in 1978. She is the author of three poetry books, one of which, Small Arguments, won a ReLit prize, and, Found, was made into a short film by Paramita Nath and screened at film festivals worldwide including the Toronto International Film Festival, L.A. Shorts Fest, and Dok Leipzig. Her third poetry collection, Light, is out this fall.